Last week’s economic reports included readings on new and existing home sales, a speech by Fed Chair Janet Yellen, and a report on consumer sentiment. Weekly reports on mortgage rates and new jobless claims were also released. Sales of new homes jumped in July to a seasonally-adjusted annual rate of 654,000 sales, which surpassed expectations of 579,000 sales and June’s downwardly-revised reading of 582,000 sales. This was the highest reading for new home sales since 2008 and represented a 31.30 percent increase since July 2015. Builders were seen by analysts as addressing the need for more affordable homes; this trend contributes to a healthy housing market by supplying homes for a wider range of buyers. First-time buyers play a vital part in housing markets as their purchases enable current homeowners to buy larger homes or relocate. Sales of pre-owned homes fell 3.20 percent to a seasonally-adjusted annual rate of 5.39 million sales as compared to expectations of 5.59 million sales and June’s reading of 5.57 million sales. Year-over-year, sales were 1.60 percent lower. Limited inventories of available pre-owned homes have narrowed buyer options; increasing prices and narrow choices were seen as factors contributing to lower sales. There was a 4.60 month supply of available homes in July. Real estate pros typically consider a six months a normal reading for homes on the market. 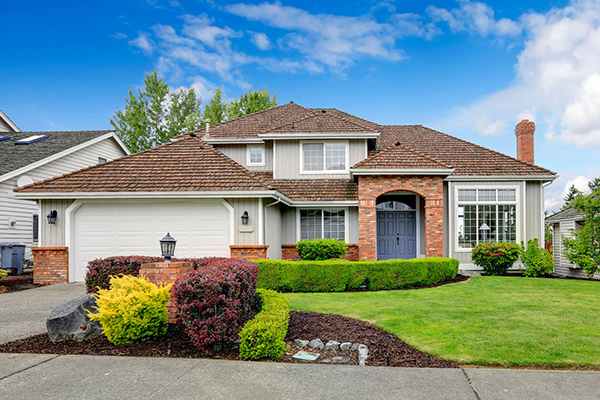 Lawrence Yun, chief economist for the National Association of Realtors®, noted that a slowdown in home appraisals may have contributed to July’s lower sales reading for pre-owned homes. Low mortgage rates prompted a surge in refinancing which created a backlog in home appraisals. While low mortgage rates may entice home buyers, stricter mortgage requirements can also keep prospective buyers at bay. Federal Reserve Chair Janet Yellen indicated that the stage could be set for a federal rate increase as early as next month. If the Fed hikes its target federal funds rate, interest rates for consumer credit and mortgages can be expected to rise. Freddie Mac reported that fixed mortgage rates for 30 and 15-year loans were unchanged at 3.43 and 2.74 percent respectively. The average rate for a 5/1 adjustable-rate mortgage was one basis point lower at 2.75 percent. Discount points averaged 0.60, 0.50 and 0.40 percent. New jobless claims were lower last week. 261,000 new jobless claims were filed against expectations of 264,000 new claims and the prior week’s reading of 262,000 new claims filed. Declining jobless claims can indicate strengthening labor markets, but can also indicate that workers are leaving the labor markets. Consumer sentiment declined slightly in August due to concerns over the upcoming presidential election. Analysts expected a reading of 91.0 for August, but the reading for August was revised from 90.4 to 89.80. Next week’s scheduled economic news includes reports on pending home sales, inflation, construction spending and consumer confidence. National unemployment, non-farm payrolls and ADP payrolls are also scheduled. It seems just about everyone is lowering mortgage down payment requirements to deal with rising home prices, this despite the near-record low mortgage rates still widely available. You see, down payment is still the biggest hurdle to homeownership, and I suppose it was during the previous boom as well. That would explain why zero down mortgages were the norm back in 2006. The major problem then was that you could also state your income, your assets, and not disclose your job, so long as you had a decent credit score. No skin in the game and no disclosure equals no good. We’ve learned from those mistakes, I hope, and now underwriting is a lot more sound. Still, people want to buy homes, whether they’ve saved up a large down payment or not. And that would explain why Fannie and Freddie began offering 97% LTV mortgages. Building off those programs are mortgages with grants that still give the homeowner a 3% down payment, but without the borrower actually having to come up with the three percent in funds. Instead, many lenders are providing a 2% grant to homeowners and asking that they come up with the remaining one percent, which seems pretty fair. The use of a grant is allowed under both Fannie’s HomeReady program and Freddie’s Home Possible Advantage, and some banks dole outs funds in accordance with the Community Reinvestment Act. Interestingly, the largest non-bank mortgage lender in the country, Quicken Loans, quietly rolled out their 1% down payment option back in March, but there wasn’t a press release or any fanfare. There certainly wasn’t a Super Bowl commercial. I don’t know why that is; I’m just here to tell you about the loan program in case you lack a down payment and are interested. If I had to guess, I’d say that it’s limited to certain types of buyers and thus a national rollout or major ad campaign might be misleading and/or a waste of money. Anyway, let’s talk about Quicken’s 1% down loan program to see if you might qualify based on what I know about it. First off, this program can only be used for the purchase of a home, no refinances are permitted. Quicken Loans provides a 2% grant and the borrower brings in the remaining 1% to make it a 97% LTV loan. I’m not sure if the grant has to be paid back if the borrower sells or refis before a certain period of times passes. Inquire with Quicken about that. Secondly, the property must be a one-unit owner-occupied property, which includes single-family homes and condos (and townhomes), but not co-ops. When it comes to credit, the minimum FICO score required is 680, which is considered average (or perhaps a bit below average). So it’s pretty flexible in terms of creditworthiness. Perhaps more importantly, you must make less than or equal to the median income for the county in which you’re purchasing the home. If the income limit is $75,000, you must earn that or less to qualify for the 1% down payment program. Speaking of income, the maximum DTI ratio is 45%, which is standard. If there aren’t any additional overlays on this program versus the ones offered by Fannie and Freddie, no minimum borrower contribution is required, meaning the down payment funds and any reserves can be gifted. The Quicken program also comes with a free “introduction to homeownership” course that is required for first-time home buyers, but available to everyone at no cost. When it comes to loan types, you’re likely going to be limited to fixed products with a 30-year amortization. Put simply, probably the 30-year fixed unless you can afford and desire a 15-year fixed. That wouldn’t really make sense for someone lacking a down payment. There will be mortgage insurance, seeing that the loan is well north of 80% LTV, but it might be at a reduced rate as it is via the Fannie/Freddie 97 programs. I have no idea what the mortgage rates are like, but I assume higher than what you see advertised to account for the higher risk of putting just one percent down. But seeing that rates are so low at the moment, they’ll probably still look pretty favorable. For the record, Quicken is just one of many lenders out there offering grants to home buyers to push the down payment requirement down to just 1%, so you can always shop around to compare different interest rates and program requirements by lender. Recently, Guaranteed Rate launched a similar program, as did United Wholesale Mortgage (if you’re using a mortgage broker). Other regional lenders, such as Fifth Third and BancorpSouth, have introduced zero down offerings. Need a lender, for this, or any other type of real estate loan? I have some excellent names I can recommend – just give me a call, a text, or an email. Last week’s economic news included reports on job openings, retail sales and recurring reports on mortgage rates and new jobless claims. Job openings and hiring increased, which provided further evidence of stronger economic conditions. Retail sales were flat in July, new unemployment claims dropped and mortgage rates changed little. The Labor Department reported more job openings in June with 5.60 openings as compared to 5.50 million job openings in May. According to the Job Openings and Labor Turnover Survey, 5.13 million workers were hired in June as compared to May’s reading of 5.15 million hires. June’ JOLTS report also showed that voluntary quits were nearly double the rate of quits during the worst part of the recession. Analysts consider quits an indicator of worker confidence in job markets; in times when jobs aren’t easily found, workers are more likely to stay with current jobs rather than risking uncertainties associated with quitting. New jobless claims were lower with 266,000 new claims filed against the prior week’s reading of 267,000 new claims filed and expectations of 265,000 new claims filed. Last week’s reading continued a long streak of new jobless claims under 300,000 per week. Labor market trends impact housing markets, as prospective homebuyers typically consider job security as a significant factor in decisions to buy homes. 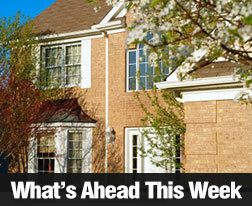 Freddie Mac said that average mortgage rates held near steady readings last week. The average rate for a 30-year fixed rate mortgage rose by two points to 3.45 percent; the average rate for a 15-year fixed rate mortgage was also two basis points higher at 2.76 percent and rates for a 5/1 adjustable rate mortgage averaged 2.74 percent. Discount points averaged 0.50 percent for all three loan types reported. Consistently low mortgage rates help to ease concerns caused by rapidly rising home prices caused by short supplies of available homes. Consumer sentiment fell short of the expected index reading of 91.50 with a reading of 90.40 but surpassed July’s index reading of 90.00. Participants in the University of Michigan Survey cited concerns over increasing prices coupled with slow income growth. Analysts said that consumer participants had grown acclimated to low mortgage rates, which may have offset consumer concerns about stagnant wages and higher prices. 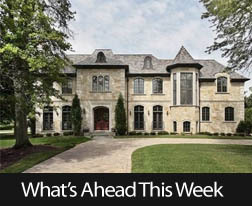 This week’s scheduled economic releases include the National Association of Home Builders Housing Market Index, Commerce Department Consumer Price Index and Core CPI reports along with weekly readings on mortgage rates and new jobless claims. Location? What Location? Which Location?! It’s almost a joke these days, but one solidly mired in truth: the real estate mantra of location, location, location. It is of course the one thing about your new home that you can’t renovate or upgrade; that’s why considering exactly where you are buying is so crucial to your entire homeshopping experience. So when you’re thinking about location, does it mean more than which city or town you want to live in? Of course it does. Here are four factors to consider when shopping for your new home, all related to location, location, location! Urban? Suburban? Rural? You can live in Chicago, or Tucson, or Sacramento without being downtown. Whether you want to be right in the city, on the outskirts, or more of a commuter makes a big difference in home prices and sizes, and in the time it will take you to get around. Narrowing it down. Once you know whether you’re a city kid or a country kid, you’ll need to drill down another layer and figure out what you want in the area directly surrounding your home. Do you want to be close to the freeway? Is it important to be able to walk to a coffeeshop, or to have a local farmers market, or ride your bike to the grocery store? Making a list of the features characterizing the neighborhood you dream of living in will help you find that neighborhood, so you can become part of it. Look up the future. By this, we mean check into plans for infrastructure updates, commercial zoning, and other planned developments in the area. Building on empty lots is good; having a freeway come through your backyard is not so good. The worst house on the best block. This is also an old saying that’s still totally true. If you can buy the worst house on the best block, it’s far better than buying the best house on the worst block. You can work toward getting your home in line with your neighbors’; there’s no guarantee your neighbors will try to catch up with you. Whether you’re looking to settle down to stay for years to come or you’re considering your new home’s resale potential, you’ll always need to put consideration of location at the top of your list of features you’re considering when shopping for your new home. If you’d like to discuss your homebuying options further, give me a call today – let’s talk real estate! I look forward to working with you. Comments Off on Location? What Location? Last week’s economic news was dominated by Great Britain’s vote to withdraw from the European Union. New and Existing Home Sales were released along with weekly reports on mortgage rates and new jobless claims. US stocks plunged in reaction to the news of Britain’s decision to leave the EU and the resignation of its Prime Minister. While investors don’t want to see their 401(k) values crash, mortgage rates may also fall as a result of “Brexit”. Fallout caused by economic uncertainty connected with Great Britain’s move to regain independence is expected to have lingering influence on global financial and economic developments in coming months and years. Fed Chair Janet Yellen said in testimony before the Senate Banking Committee that Great Britain’s decision to leave the EU could have significant consequences. Chair Yellen’s comments were made prior to Friday’s announcement of Great Britain’s decision. According to the National Association of Realtors® May sales of pre-owned homes hit their highest level since February 2007. May’s seasonally-adjusted annual reading of 5.53 million sales fell just shy of analysts ‘expectation of 5.55 million sales, but exceeded April’s reading of 5.43 million sales. May’s reading represented a 1.80 percent increase in sales and a year-over-year increase of 4.50 percent. Short supplies of available homes continued to drive up home prices according to NAR chief economist Lawrence Yun, who expressed concerns about affordability as home prices continued to outstrip wages and inflation. The national median home price was $239,700 in May, which was 4.70 percent higher year-over-year. Although first-time buyers typically represent about 40 percent of homebuyers, they currently account for 30 percent of homebuyers. Sales of new homes slowed in May after jumping in April. According to the Commerce Department, sales of new homes fell by 6.00 percent on a seasonally adjusted annual basis. 551,000 new homes were sold against the expected reading of 560,000 new homes sold and April’s downwardly revised reading of 586,000 new homes sold. New home sales were 8.70 percent higher year-over-year in May. Last week’s mortgage rates don’t reflect the Brexit decision and rose slightly on Thursday. The average rate for a 30-year fixed rate mortgage was two basis points higher at 3.56 percent; the average rate for a 15.year fixed rate mortgage was also two basis points higher at 2.83 percent. The average rate for a 5/1 adjustable rate mortgage was unchanged at 2.74 percent. Discount points rose to 0.60 percent for a 30-year fixed rate mortgage but were unchanged at 0.50 percent for 15-year fixed rate mortgages and 5/1 adjustable rate mortgages. The National Association of Realtors (NAR) reported lower sales of pre-owned homes in February. Would-be buyers were discouraged by rapidly rising home prices. Short supplies of available homes sidelined potential buyers as higher home prices and cash buyers squeeze out buyers who need mortgages to buy homes. Multiple offers resulting in bidding wars have also deterred buyers in high demand markets. According to NAR’s February report, sales of existing homes fell 7.10 percent to their lowest level since November. During the housing bubble, buyers jumped into the market as speculators or to buy before home prices increased beyond their reach. NAR surveyed renters last week and found that the percentage of renters who believed that it’s currently a good time to buy a home decreased. Respondents to Fannie Mae’s February Home Purchase Sentiment Index forecasted a 1.70 percent increase in home prices year-over-year. One year ago, respondents expected home prices to increase by 2.50 percent year-over-year. This may suggest that home prices are cooling. This can be expected as the number of buyers declines as home prices become increasingly unaffordable. New home rose in February according to the Commerce Department. Based on a revised reading of 502,000 new home sales in January, February’s reading was 2.00 percent higher than January’s reading, but was 6.10 percent lower than for February 2015. Builders have held back on increasing construction due to concerns about ups and downs in the economic recovery. Short supplies of labor and available land have also kept home builders from meeting current demand. According to Freddie Mac, average mortgage rates fell across the board last week. The rate for a 30-year fixed rate mortgage fell by two basis points to 3.71 percent; the rate for a 15-year fixed rate mortgage fell three basis points to 2.96 percent and the rate for a 5/1 adjustable rate mortgage fell four basis points to 2.89 percent. New jobless claims rose to 265,000 from the prior week’s reading of 259,000 new claims. Last week’s reading matched analyst expectations. This week’s scheduled economic news includes reports on inflation, pending home sales, Case-Shiller’s Home Price Index reports and government and private sector employment data. 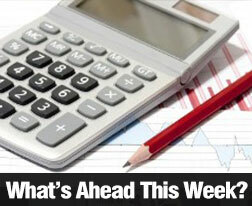 Weekly reports on mortgage rates and new jobless claims are also scheduled. Last week’s economic news included Fannie Mae’s Home Purchase Sentiment Index along with weekly reports on mortgage rates and new jobless claims. The City of Detroit also announced a program to help would-be buyers purchase homes that do not qualify for mortgage loans due to severe damage. Fannie Mae’s Home Buyer Sentiment Index (HBSI) gained 1.20 percent for an overall reading of 82.70 percent for February. The index reading is calculated using responses to several questions contained in Fannie Mae’s National Housing Survey. HBSI components include consumer responses to questions about whether it’s a good or bad time to sell or buy a home, consumer expectations concerning whether home prices and mortgage rates will rise, whether respondents expected to keep or lose their jobs, and consumer outlook for their income to significantly increase year-over-year. The HBSI is designed to assess consumer attitudes about housing markets and their decisions about buying a home. Freddie Mac reported that average mortgage rates rose across the board last week. The average rate for a 30-year fixed rate mortgage rose four basis points to 3.68 percent; the average rate for a 15-year mortgage rose two basis points to 2.96 percent and the average rate for a 5/1 adjustable rate mortgage was eight basis points higher at 2.92 percent. Discount points averaged 0.50 percent for fixed rate mortgages and 0.40 percent for 5/1 adjustable rate mortgages. New jobless claims dropped to a five-month low last week with a reading of 259,000 new claims filed as compared to expectations of 275,000 new claims and the prior week’s reading of 277,000 new claims. New claims readings under 300,000 new claims indicate a healthy labor market; new claims readings have held below the 300,000 benchmark for more than a year. The lowest reading of 256,000 new jobless claims occurred in October 2015. The City of Detroit announced a program designed to facilitate the purchase and rehabilitation of vacant and damaged homes that do not meet appraisal requirements for traditional home loans. While many markets have recovered from the Great Recession, housing markets such as Detroit have languished due to the lack of financing options. The program offers mortgages to cover the home purchase and second mortgages up to $75,000 for repairs and renovation. Program administrators say they plan to issue 1000 loans over the next three years. This type of program may help struggling housing markets recover while providing homeownership opportunities to those who could not otherwise afford to buy a home. 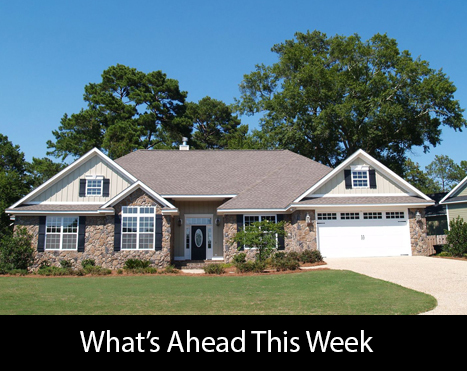 This week’s scheduled economic events include the National Association of Home Builders/Wells Fargo Housing Market Index, federal reports on housing starts and building permits issued. The Federal Reserve will release its usual post-meeting statement after its Federal Open Market Committee meeting. Fed Chair Janet Yellen will also hold a press conference. “Orange County’s housing inventory maven, Steve Thomas, isn’t mincing words: “Seller Drought” is how he titled his latest biweekly newsletter. ReportsOnHousing.com notes the number of homes listed on local brokers’ networks increased by 298 homes, or 6 percent, in two weeks to 5,271 on Feb. 25. Thomas notes this was the largest jump in supply since May 2014. So why does Thomas think inventory is so slim, a shortage that frustrates house hunters? Well, supply growth in January was 9 percent below 2015 levels and even with the recent burst in listing activity, inventory is still 3 percent off a year ago and far below the historic average supply of 9,200 homes for sale. “Essentially, the low inventory is preventing would-be sellers from coming on the market, which only exasperates the problem,” Thomas wrote. ReportsOnHousing.com notes that demand, the number of new pending sales over the prior month, increased by 242 homes in two weeks to 2,584 on Feb. 25, the highest since September 2015. Still, demand is down 11 percent in a year, partly due to limited selection for house hunters. From Bob Phillips: We are now one month into this year’s “Spring selling season” when the number of homebuyers starts to grow with a vengeance. That growing number of buyers needs something to buy, and if the local housing inventory doesn’t start to grow soon, there will be an increasing likelihood of multiple buyers for each nice house to come upon the market, which translates to increasing prices. In 2013, local home prices went up more than 15% between February 1st, and July 31st, our typical “buying season”. That’s the LAST thing today’s homebuyers need, so hopefully the number of homes available will start increasing, to match the number of buyers. Keep your fingers crossed and watch this space.